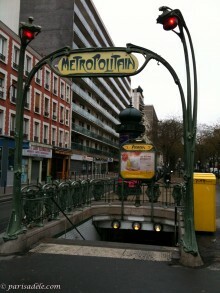 The only surviving Métro entrance design of its type. Graceful with fluid lines, sitting on the edge of a lush green park at the terminus of line 2. 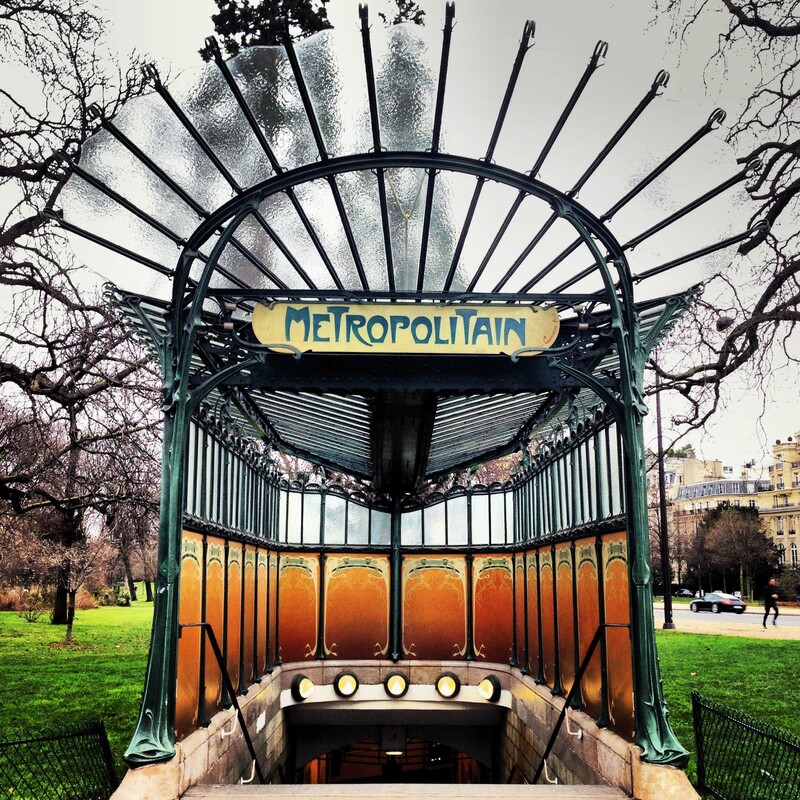 Thanks to Hector Guimard’s artistic vision and striking designs, over 100 years later, his Metro entrances that form part of Paris’ landscape have become iconic around the world. Hector Guimard, the young French Art Nouveau architect was getting a lot of attention after a few of his buildings started popping up in the well to do area of the 16th arrondissement but it was the Castel Béranger located on Rue Jean de la Fontaine that earned him the most attention. 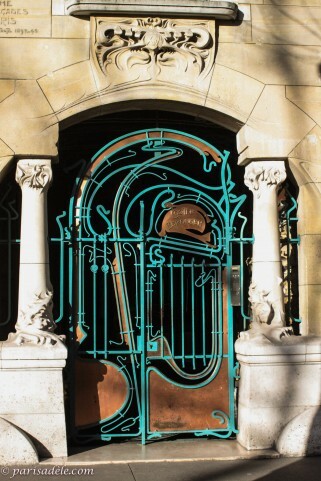 He caught the eye of Adrien Bénard, the chair of The Compagnie du Chemin de Fer Métropolitain de Paris. 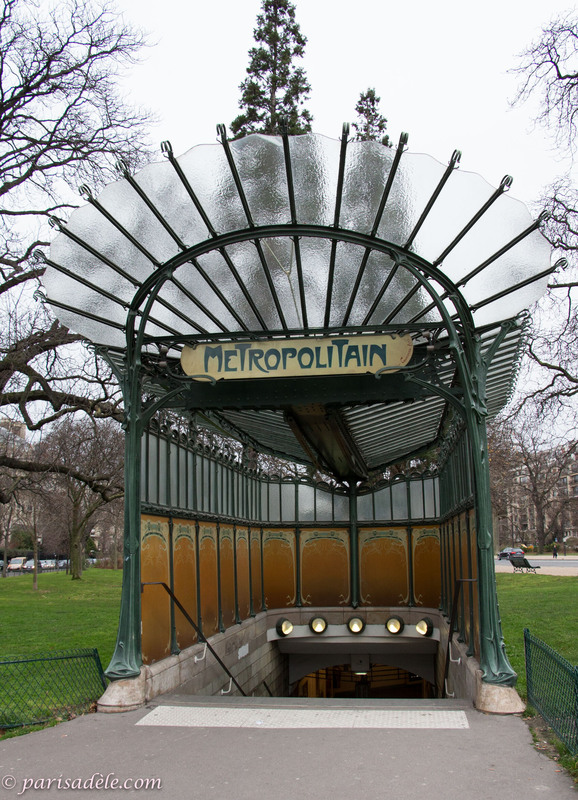 His company was about to launch Paris’ first underground train service and he was disappointed with the results of the competition he had ran to design the Métropolitain Entrances of Paris. 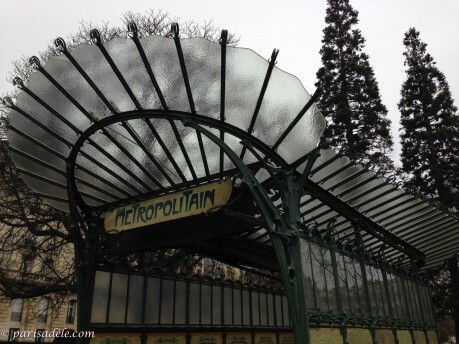 It was unnecessary to have the large imposing structures that were common for the grand railway stations, the metro would not be enclosed in a building. 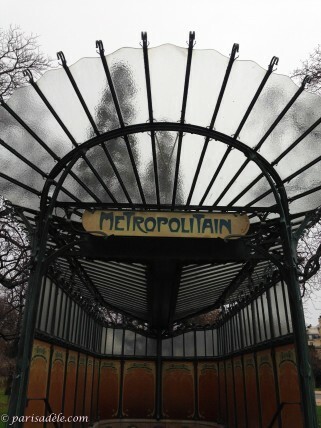 Thankfully Monsieur Bénard was progressive and had style. 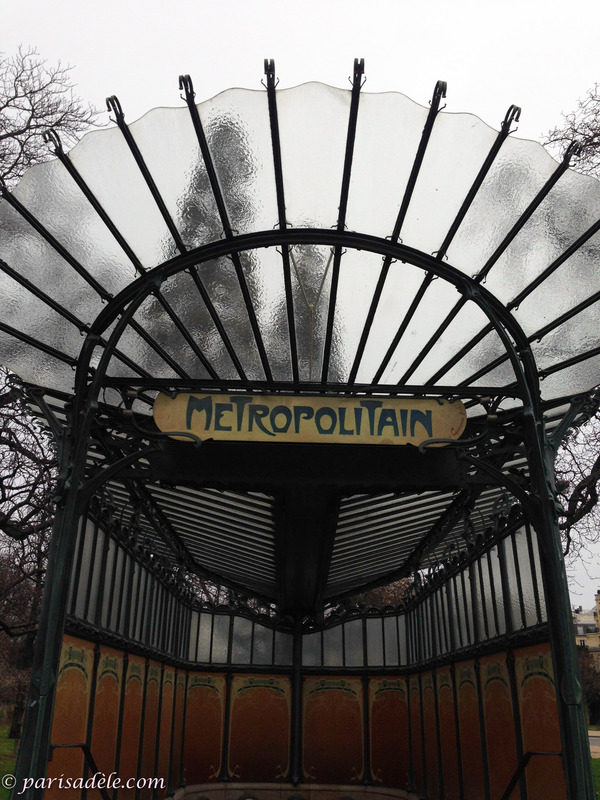 He craved a design that was aesthetically pleasing, light and inviting to be recognisable and at the same time be functional and compliment the pretty Parisian streets. 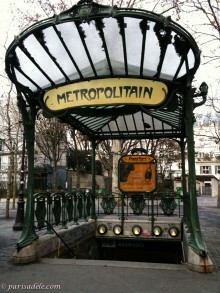 Having a penchant for the new Art Nouveau designs, he approached the then 30 year old Hector Guimard. 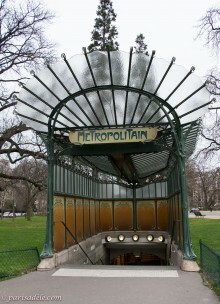 Monsieur Guimard came up with four designs. The basic, if you can call it that, was referred to as ‘Entourage‘. 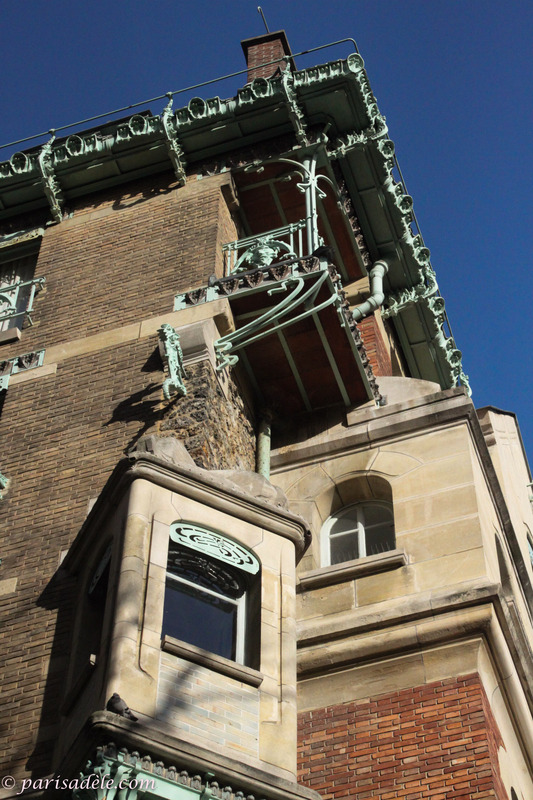 Delicate ornate iron-work railings protecting the stairwell, imitating creeping vines, rising out of the ground. He designed tall plant like stems with bulbous red lamps gracefully tilting down from above as a way to incorporate electric lighting. 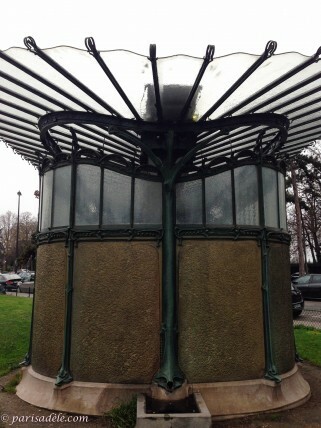 The design of ‘Edicule Modèle A, of which only two were built for Hotel de Ville and Reuilly-Diderot, a sheltered entrance combining the ornate iron-work of the ‘entourage’ model but with a pitched roof and canopy. 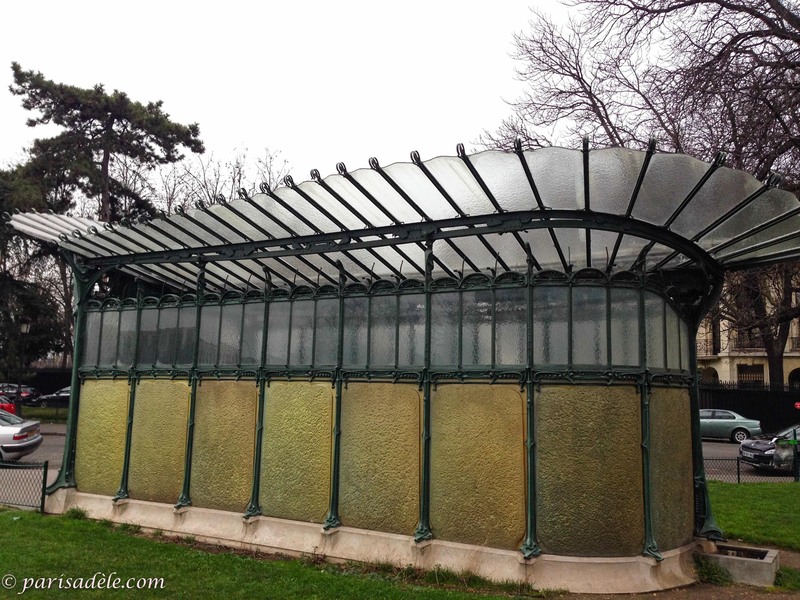 But it was the pretty ‘Edicule Modèle B’ that featured decorative and ornate iron-work, fluid lines of glass panels fanning out above like a blossoming flower and painted enamelled panelling completing the enclosure of the entrance. 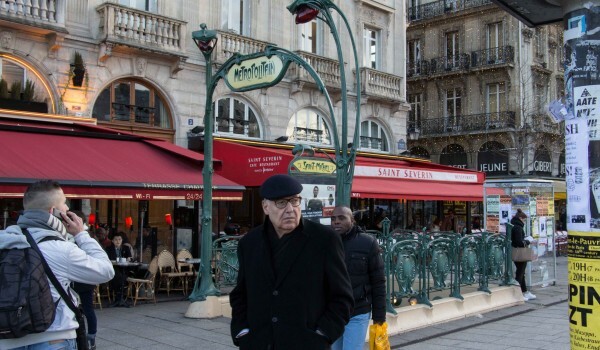 This is the style that graces Porte Dauphine. His grand ‘Le Pavillion Technique’ (not pictured) was also a very special design. Inspired by the Japanese Pagodoa. Three were created, one for Bastille and two for the Champs Elysées opposite the Arc de Triomphe. Sadly, none have survived. 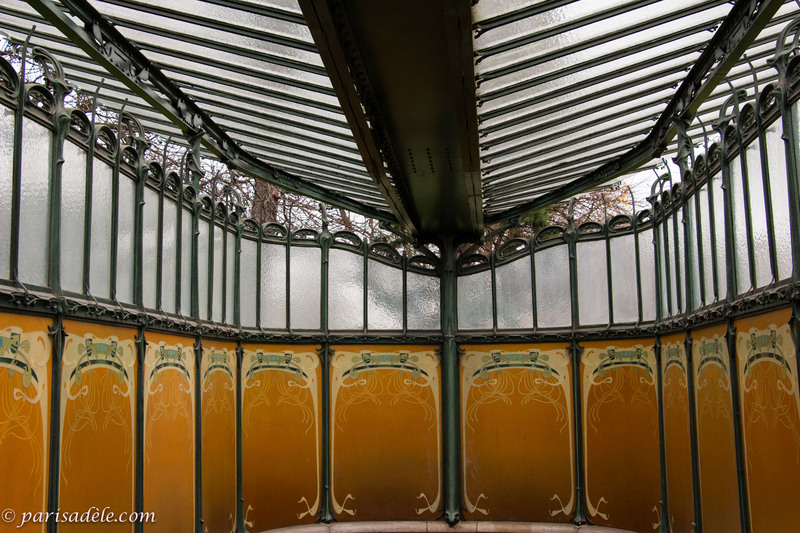 Unfortunately the upper class residents of the Avenue Wagram did not approve and Bastille was demolished in 1962. 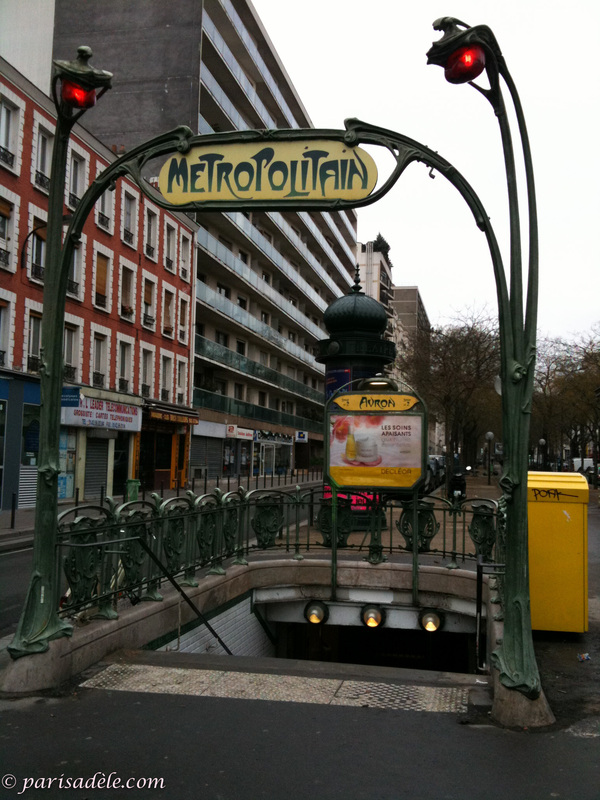 Of the 141 entrances that he created, only 87 survive and only one of ‘Edicule Modele B’, which is now a National Monument at Porte Dauphine. 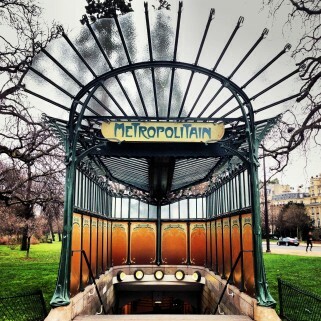 Impeccably maintained, proudly surrounded by wide boulevards and affluent apartments, Porte Dauphine Metro entrance is a magnificent work of art. Although Hector Guimard came up with a design that had to be pre-fabricated and mass produced, it appears as if each painted panel, each sheet of obscured glass and every twist and turn of the iron work was hand crafted with loving care to form such beauty and elegance. Every detail, thoughtfully considered, designed with aesthetics, right down to the drain pipe. 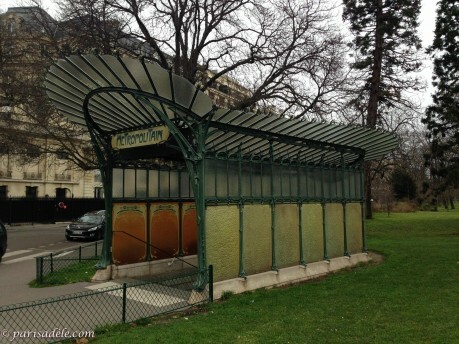 Only eight ‘Edicule B’ designs were produced for what was then the terminus stations. Porte Dauphine was the first to be installed and now, the only one left standing. Porte Dauphine, named after Dauphine Marie Antoinette, is a stones throw from the periphery of Paris and a 1.2 km stroll from the Arc de Triomphe. 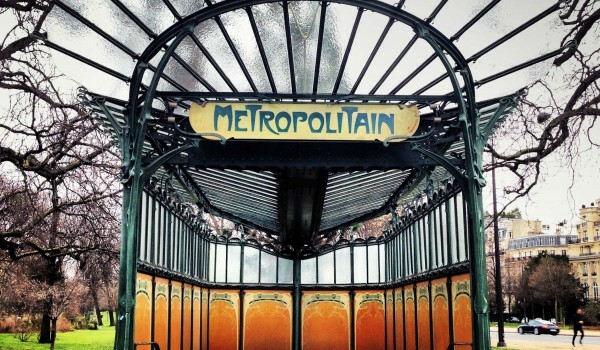 The station was inaugurated in 1900 and the line runs from the west through the top end of the Champs Elysées and Montmarte to Nation, in the city’s east. 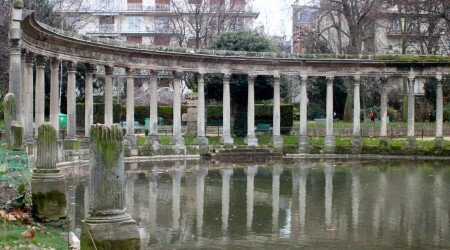 Only a short stroll from the Champs Elysees and the Arc de Triomphe with a pretty lily pond and surrounded by elegant homes. 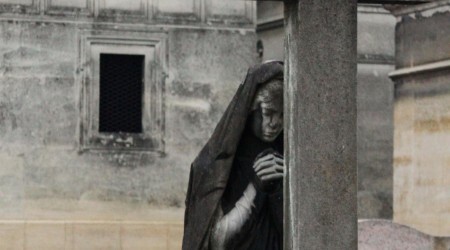 The sprawling and leafy Cemetary, Père Lachaise, is the resting place of many famous people and is a wonderful way to spend a pleasant, relaxing day. 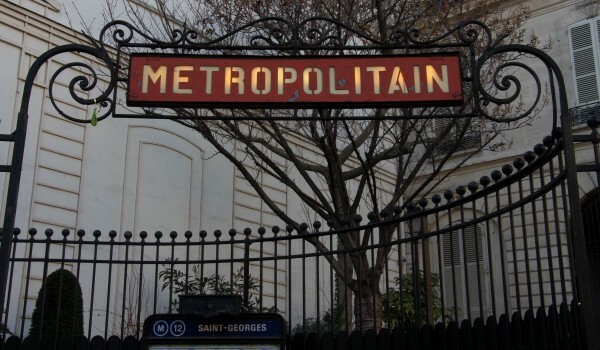 Opposite the stunning l'hôtel de la marquise de Païva, with it's intricate façade, adorned with Gothic and Renaissance statues you will find the unique Saint-Georges métro entrance. 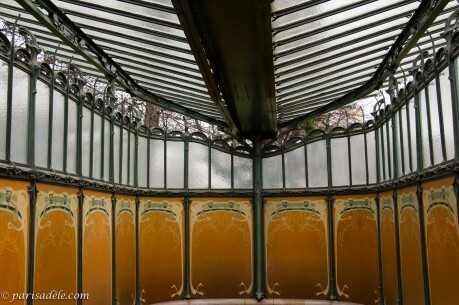 The jewel of Place Colette. 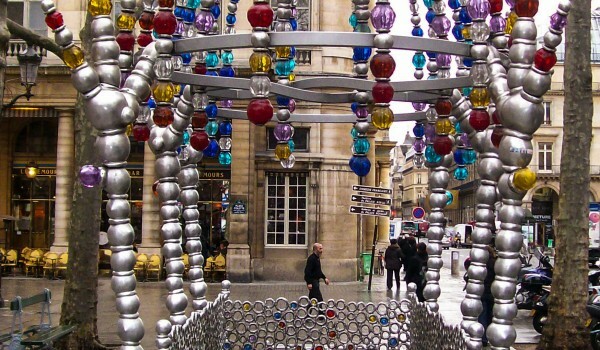 Murano glass beads and aluminium make up this colourful metro entrance to celebrate the centenary of the Metro. 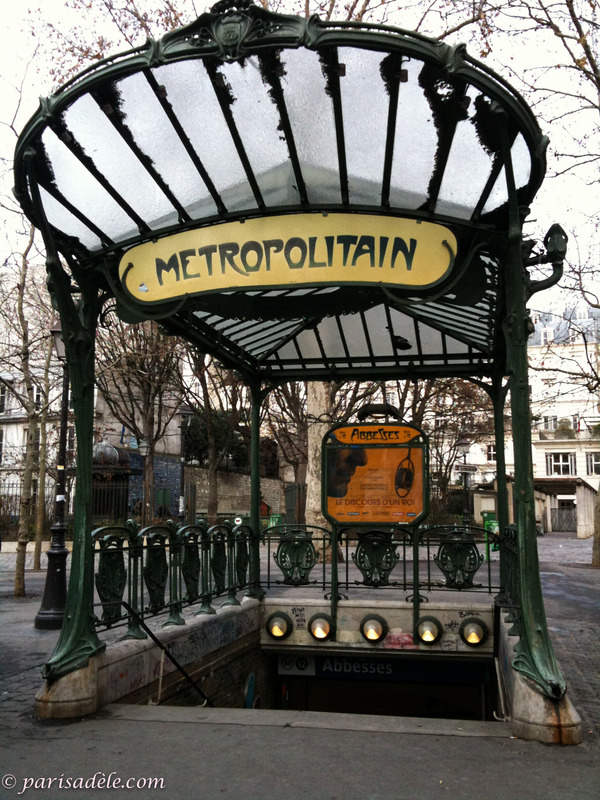 Learn how to use the Paris Metro and look like a local. 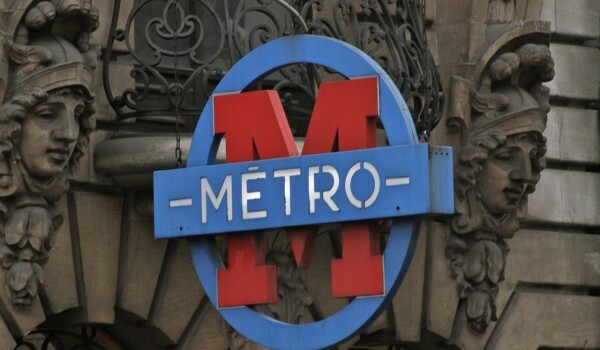 Detailed tips on how to purchase tickets and navigate the underground. 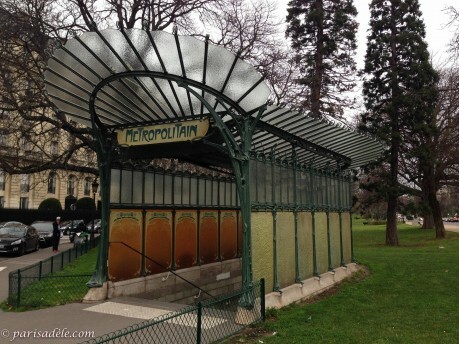 Sitting in a lush green park, the Hector Guimard canopied beauty of Porte Dauphine would have to be the prettiest Métro entrance in all of Paris.